Born on Australian burial grounds, Portal channel echoes of dread through death metal malice. Guitar player Horror Illogium discusses what fuels the sonic terror, their impending discharge of “ION” – and the unreleased album preceding it. – We felt inklings of a non-sapiens channel opening up to us as far back as ‘96. Riff-wise, it was as if we’d become receptors for these otherworldly reverberations. This discovery was powerful, hysterical, and instantly gratifying – but carving the material into requisite shape to constitute ‘songs’ demanded a lot of hard work and toiling. The process took many years but its emergence was ever-present, even between our first demo and the debut. The same goes for scripture; PORTAL already boasted oration worded in this unsettling Lovecraftian narrative on “Seepia”, their 2003 debut. – The Curator (vocals) wrote most of the lyrics as stand-alone artefacts, the challenge then became describing them through music; hence why our older material sounded very calculated and far less erratic. However, this was not the case with “ION”. Since its creative process was so immediate and extreme, everything followed the music. As a result, it’s somewhat more akin to an epileptic fit and, if anything, this frantic vibe was necessary in getting the point across. Before we get to the impending release of “ION”, another matter warrants some attention. When I met Horror Illogium a few years ago, he mentioned an upcoming record which was set to ’out-PORTAL PORTAL’. Seeing as how peculiar behaviour appears to be somewhat characteristic for these gentlemen – more about this later – one could say in retrospect that his remark was more spot-on than he could have possibly known at the time. The aforementioned album has subsequently been shelved; fully recorded with a finished layout, design, and so forth. – The recording project was interrupted by touring Europe and America before we could lock it down in the mixing stage. Not properly sealing the ritual was a mistake, given what we’d invoked with this work. We are harsh on ourselves as humans and by then – not entirely without warrant – we’d grown to detest our creation. Undertaking additional challenges as posed by the road likely contributed to this perpetual feeling of dissatisfaction, of which true cause and effect would soon surface. A strongly causal factor to their malcontent was how the style of death metal they made a name for themselves with has become rather commonplace in recent years. When others begin to imitate you, says Illogium, it renders the journey far less rewarding. – We neither condone nor agree with blatant imitations devoid of honesty and spirit. Should a band who are delving into their own nightmare happen to find us influential – fine, then make something unique out of it and cling to that conviction until the bitter end. 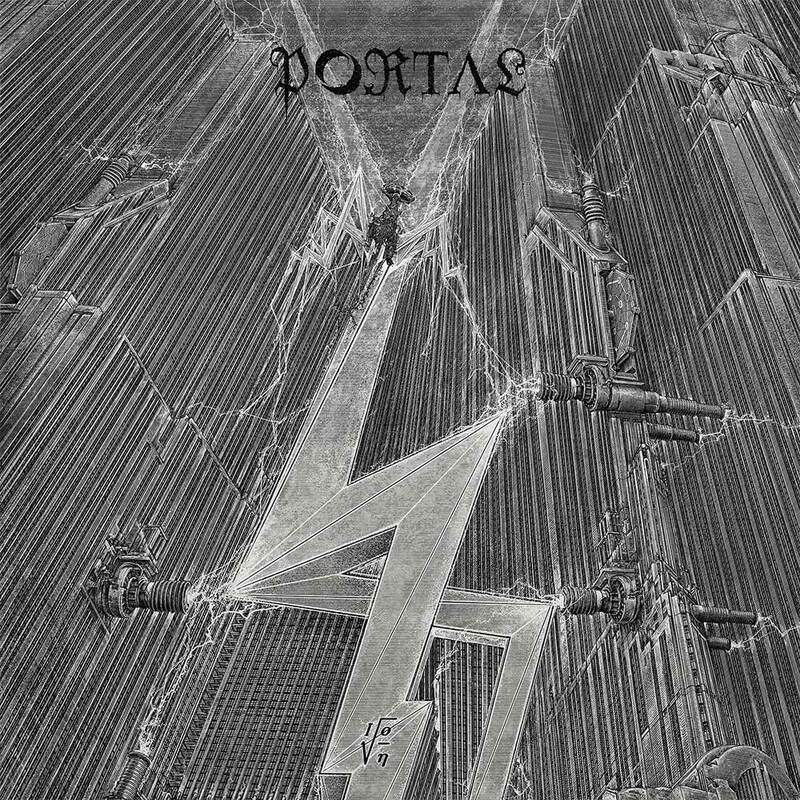 PORTAL is an armament of hatred against all; not something that fits in with all the other dress-up bands who barely even embrace death worship and horror, let alone mysteries of the occult and darkness. 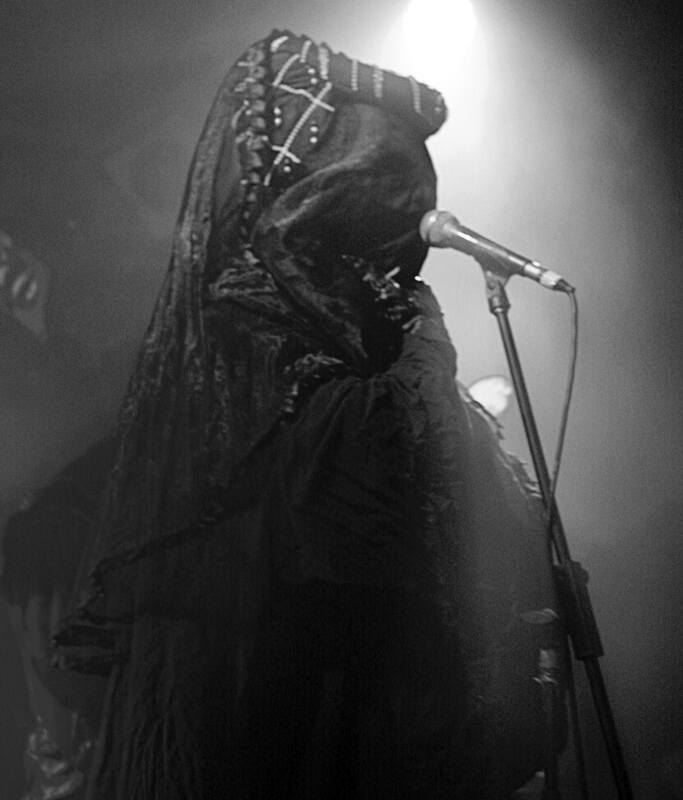 Not only has PORTAL’s music been influential; as many have noted, recent years have seen a conspicuous increase in robed death metal necromancers. – All the normalcy it’s wrought upon us is quite abhorrent, we prefer to dwell confined in our exclusive reclusive mindset. We began employing such visual horrors in 2002, and it had nothing to do with being anonymous. This was during the creation of “Seepia” and when we first ventured out onto stage – in our imagination, it was as freaks dug up from vintage graves. What’s the ordeal that is PORTAL in concert like from your perspective? – Similar to that of a contortionist in a sense – belting out those arrangements and allowing such shapes to be played with power on the fretboard is quite torturous and requires my body to assume crippling positions. My respiration would usually be restricted by a hangman’s noose, tightened enough to induce an oxygen-deprivation effect. These hessian hoods they wear onstage have no eye-sockets, which results in their entire line of sight becoming a mass of featureless dark shapes – people don’t look human. – I’m already in a higher state of consciousness before walking on stage. In fact, it typically takes the entire day to prepare mentally, letting darkness flow into me so I can outwardly deliver. It’s a sick delight to absorb what I believe is a current of negativity. He says that given the nature of this activity, it’s extremely important which bands one shares ‘ritual nights’ with. One previous solution has been bringing along VOMITOR, an old Australian death metal act, for whom Illogium has played guitar since 2012. – Death Dealer (VOMITOR), amongst others of his kinship, is excellent to tour with. If the entire company is open to the same energies, very magical and crazy things will occur. Therefore, touring with PORTAL is always geared more towards our experience rather than how well we perform for the punters; it’s all about self-indulgence. VOMITOR is a different beast altogether, one which grants me instant hatred and power. Dublin, Ireland – June 2015; whilst touring Europe, Illogium found himself on the receiving end of a neurochemical sledgehammer-epiphany, the aftermath of which left him with the unrelenting conviction that his music had to be entirely reinvented. – The kinetic discharge onstage was the climax of accumulated negative energy that we’d failed to properly expel through previous shows. For the record, that was the most powerful night of them all. After-show festivities brought me to the MALTHUSIAN cave where it all went down; sitting still while maniacs were raging all around me, my mind already on fire with dynamic riffs. I was definitely on another planet that night, but you don’t get to choose when inspiration hits. Could you hear actual music in your head, or were they revelations more rhetorical in nature? – It was mostly the flow of feelings and energy. Of prime importance about that night was the ignition of creativity; this inspirational injection which would drive me for more than six months afterwards – all throughout the creation of “ION”. Over time, these channels become blocked by outside interfering frequencies so I speculate that they opened at perfect alignment. He emerged from the experience clutching the firm conviction of having to start over on a fresh slate and craft an entirely new album. The cerebral transmission he intercepted also made it clear that there was no choice but to reacquire his old electric guitar; a Carvin Ultra Flying V, originally procured in 1995. – It was used on the demo and debut album before being relinquished in 2005. And so there we were, buying back an instrument I’d sold exactly one decade earlier – twenty years after initial procurement. Having it back in my possession felt absolutely essential. Certain objects in the right hands are definitely charged with potent energy; sounds such as these could only ever be conveyed by this black sceptre of malevolence and horror. 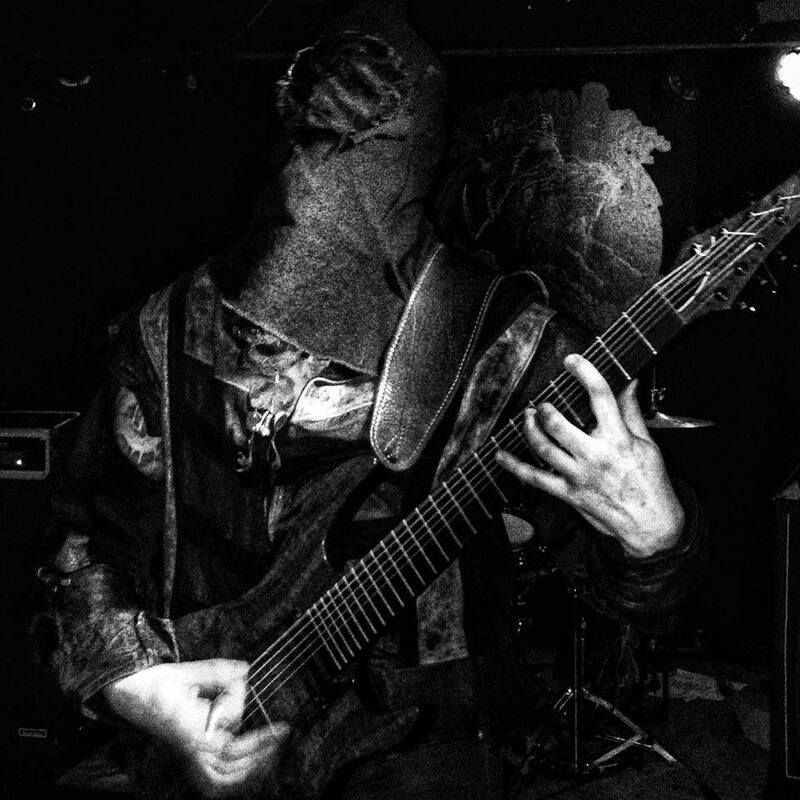 Illogium describes a sense of awakening as he picked up the guitar; his reacquisition of an instrument that essentially acted as conduit in the birthing of PORTAL’s style of death metal would soon prove to make all the difference. While most of their previous creative processes have been diligent and meticulous, composing for “ION” went faster than ever. – The Carvin was definitely charged as an extension of myself and catered with utmost haste to our feverish urgency. We’d written and recorded everything within a year – including months of pre-production after the songs had been constructed. The process was extremely fast and almost automatic. I’ve listened to “ION” many times now, but I’m more of a consumer of music than analyst thereof. Following multiple attempts at putting their stylistic development into words, I found myself still struggling. It’s unquestionably PORTAL, but shrouded in a slightly different vortex – more aggressively weird and twisted. I’d also say it’s in parts far more hypnotic than previous efforts. – Where “Vexovoid” was not only foreboding and haunted death worship but also the culmination of a specific kind of horror; “ION” is birth, creation, and power – a weapon to strike with malice. Speed and complexity with total ferocity intact throughout its entirety, electric shock and lightning spite. Speaking of lightning, the cover artwork – courtesy of Polish artist Zbigniew M. Bielak – has a somewhat more futuristic and triumphant tone than usual. – Statement-wise, it mirrors that of the music; destructive power channelled towards inhuman goals. That piece can be seen as our design of the future, when the Olde Guarde has seized control and black energy is the rebirth without human life; a cleansing if you will. Dystopian autonomous existence – victory. Illogium explains that PORTAL is an ‘echo of induced terrors’ collected from multiple sources over time and then siphoned into music. This, he says, is why their music resonates so uniquely with the listener’s subconscious. – A constant source of inspiration has been supplied by night terrors – usually manifesting through open-eyed visions of dog-sized arachnids, centipedes… luminescent pulsating sacks hovering over me, giving birth to more spiders. Then various hooded creatures and shadow-people who always feel the need to make their presence known long before creeping into my room. Paralysed with eyes wide open, I’m lying there looking at these things. Here we go again – sleep paralysis, as it’s called in medicinal nomenclature. Illogium’s descriptions mirror many similar reports from previous interviewees, especially that of sensing a nasty presence slowly making its way from the hallway towards the bedroom, while one lies awake and fully conscious but unable to move. Needless to say, most who experience this find it mind-numbingly terrifying. – In recent years, I’ve managed to remain calm – even trying to make contact with them and observing this alternate dimension, which I can only describe as a lit-up film negative. I’m still undecided whether these entities were feeding off my deeper anxieties or if they represented something in need of purging from my subconscious, for it’s now been some time since their last visit. In what way is this influential to PORTAL? – Parts of “Vexovoid” are totally inspired both lyrically and riff-wise by these terrors. The creeping arachnoid guitar runs on “Orbmorphia”, for instance, that song is about becoming a glorious statue at the hands of spiders, after they sting and then mount you in their web. It’s intriguing to learn how there’s an actual personal backstory behind such cryptic lyrics. I’m curious if this is the case with any other songs. – Take “Curtain” for example; while essentially a reference to the veil of death – the song has personal significance in that it was inspired by the passing of one of our friends; a real mother-fucker of death metal, Corpse Romancer of GRAVE UPHEAVAL, who unfortunately fell off a cliff. At his funeral, the viewing was presented behind a lavish curtain one had to enter, a simple metaphoric aesthetic. To me, what’s imperative about that song is the feeling of death. What do you think about supernatural involvement in human art? – My old attitude entailed that we cannot deliberately interact with such forms of energy. Having been forced to revise this somewhat, I still believe humans as a whole to be insignificant in the greater scheme. As bystanders, we can tune in to the imposed will of some supernatural entity but that only seems to work on people who don’t actually want it. The victims.